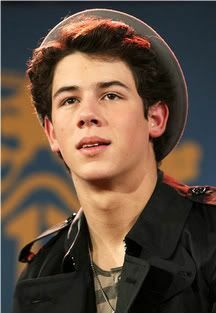 Nicholas Jerry Jonas was born on September 16, 1992 in Dallas Texas. He, like his brothers, was raised in Wyckoff, New Jersey where he was home schooled. A talented performer, Nick has been singing since a very young age and by eleven, he had already starred in four Broadway shows, numerous commercials, and a variety of recorded works. At the age of 6, he was discovered while singing at a barber shop and was referred to a professional show business manager. He began his career on Broadway the following year. In 2002 while performing in Beauty and the Beast, Nicholas had written a song with his father called "Joy To The World (A Christmas Prayer)." With background vocals from the Beauty and the Beast cast, Nick performed the song on the 2002 annual Broadway "Equity Fights AIDS" album, Broadway's Greatest Gifts: Carols for a Cure, Vol. 4. In November 2003, INO Records received a demo copy of "Joy To The World (A Christmas Prayer)." The label released the song to Christian radio, where it quickly became popular on Record & Radio's Christian Adult Contemporary Chart. By September 2004, an executive at Columbia Records found out about Nick's song. 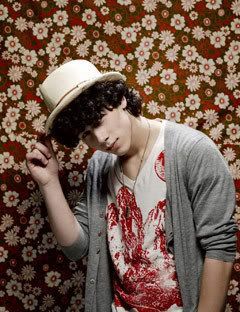 Nick was soon jointly signed to INO Records and Columbia Records and released the single "Dear God." A second single, "Joy To The World (A Christmas Prayer)" (a new solo recording), was released on November 16. It was supposed to be followed by a December release of a self-titled solo album, but the album had been pushed back; it did, however, get a limited release. In early 2005, Columbia Records' new president, Steve Greenberg, listened to Nick's record. While Greenberg did not like the album, he did like Nick's voice. After meeting with Nick and hearing the song, "Please Be Mine," written and performed by the brothers, Daylight/Columbia Records had decided to sign the three as a group act. First Song Ever Sang:"A song from Peter Pan"
Best Thing About School: "Learning new information"
What Makes Him Cry: "Onions"
Now: "I love to sing and play. I love sports and I am very serious about everything I do in life." Most Influential People: "My parents — they are so knowledgeable"
Best Advice Ever Gotten: "Live like you're at the bottom, even when you're at the top." What Turns Him Off About A Girl: "When a girl acts too forward"
Would He Date A Fan? : "Only if she really loves me." Mist Ridiculous New Year's Resolution: "To stop drinking soda, but that was impossible for me." Nick was diagnosed while on tour in November of 2005. Exhibiting the classic symptoms of the disease, he was thirsty all the time, lost a lot of weight, and was acting uncharacteristically moody. When his doctor told him his sugar level was 700, meaning he had diabetes, his first thought was that he might die. "I had an emotional breakdown since I really had no idea what diabetes was all about. I wondered, 'why me?' Then I asked myself, 'why not me?' and realized that I might be able to help other kids with diabetes." Nick spent three days in the hospital learning how to manage his diabetes, including how to give himself insulin injections several times a day. The band's busy tour schedule as a Disney Channel and teen and tween-aged pop rock band favorite, made managing his diabetes with injections a challenge. After reviewing different insulin therapy options including conventional insulin pumps that deliver insulin via long tubing attached to a pump typically worn on the belt, Nick opted instead for a relatively new insulin delivery system called the OmniPod® Insulin Management System, developed by Insulet Corporation. One of Nick's Pediatric Diabetes Educators, Carolyn Gershenson, RN, CPT of New York Pediatric Diabetes Consultants met with him and taught him how to use and administer insulin using the OmniPod System. Nicholas is the founder of The Nicholas Jonas Change For The Children Foundation, a non-profit organization devoted to the needs of abused, homeless, and terminally ill children. He started this effort after seeing a homeless family on the streets of New York City. His heart is to see children touched through the efforts of other children, including his talented friends in the child-acting Broadway community. In addition, the Jonas Brothers earned about $12 million in 2007, and have donated 10% of their earnings to the same charity.